Pool heaters, filters, pumps, and accessories. 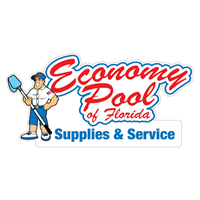 At Economy Pool of Florida you can count on quality, knowledgeable service, competitive pricing and in stock merchandise. Please take a look around our site and discover some of what we have to offer. If you have any questions or would like to speak with one our of staff about our products or services please give us a call at (941) 485-3440. If I could give this company a zero I would do not believe all the five stars on here I cannot possibly be true check other websites for the reviews they"re all horrible they service my pool for two months and every single time they came they did not clean the filter just use their not a couple times when I asked them to come remove their equipment they left my pool completely shut off from the main power switch I assume just cause issues this is literally the worst company I"ve ever dealt with in my life. Thank you for sending an email to request regarding customer care. We have had a change in technicians and all is well. This is my mother (95 years old) home, and while I am here in the winter months everything has been taken care of and we appreciate the note left on the door knob regarding your weekly visits. Thanks for looking after 432 Palmetto Court, Methven residence. Pool has been green for two weeks now after 3 visits by a technician. Dont believe all the fake reviews on here, most are auto-generated. I’m new to Economy Pool Service. So far I’m very happy with my decision to switch to Economy. Saltwater pools need someone who understands the system. I believe Economy understands, and will keep my pool in excellent condition. If you are not familiar with SWP’s, you should have Tim come out and explain the advantages! Very thorough techs - explain everything as they go along ! Since Chris started he takes his time to make sure everything looks good. I hope it stays this way. Economy pools does a great job for us . We have a very large older pool and they manage to keep it sparkling.we have used their service for 2 years. Also they respond promptly to problems. Filter housing replaced, when it was promised, next day! Excellent experience! Very happy with the communication and our pool service. Excellent, reliable service from Economy Pool service technician - I wish they would improve office billing to show money paid as credits to account. We just arrived (Friday) and everything looks great. Thanks Elli Burr. Last Monday, Jay arrived for service. My wife and I were on the computer at the same time and were not aware of Jay's presence. Had we known, we would have brought to his attention an accumulation of debris at reoccurring spot at the low end. perhaps the jets should be redirected? the current or flow seems to prevent this build up from finding it's way to the drain. Thank you. Otherwise we are pleased with Jay's performance. Recently installed a new pool heater. Not only was the price point great so was the service. From the salesman to the installer!! More than satisfied!! Need new filter system, I had been thinking about a heater and salt system. Work was done in one day, complete with removing all the old piping. Tim was great and my regular pool cleaner seems to know what she is doing and thorough. LOOKS GOOD OUR DAUGHTER AND GRANDDAUGHTER JUST SAID THAT THE POOK LOOKED GREAT. Have used EP for 35 years, on two occasions. They know their stuff, though can fail to meet agreed upon service at times. Communications are often slow, but they seem to be working on these things. EP is a good bet because they r inviting customers to convert to salt, which saves EP and customers money and headaches. Further, I expect they will embrace current pool monitoring and water balance and management, as soon as they can divine a model that works for them. If they don’t get there soon, they will steadily lose their customer base to tech rich competitors that will replace traditional pool maintenance companies wi 5 years. Always professional and the pool looks great year round. Worth every penny to not have to deal with this aspect of pool ownership! I rated it as "happy with the service" because the end result was good. At times there is no one in the office to answer the phone, and it has taken up to a day to get a return call. There have been a couple of times I had to call when the pool was turning green to ask why it hadn't been serviced. The people who work there are nice and do make sure things do get taken care of in the long run. Your new guy that’s been with us for a few months has restored the pool to an excellent condition. Please keep him as long as you can! He definitely knows what he is doing. I appreciate Tim's help with the pool set up . . . I still need to know more about our heater; can someone help me with that? Please call me @ (847) 636-0656 Rick Kirchhoff. Two thumbs up to these gentlemen. Hopefully we can get this pool back in working order. This pool company is extremely professional and I will definitely recommend to anybody looking for pool service. EP gives me good service (on a 40,000 gal pool) for an affordable fee. Our pool service tech is the best!!! He is very knowledgeable and pays a great deal of attention to the chemical balance. Best pool service we've had in years after owning several homes with pools. Thanks for the great service it's so nice to know our pool is always crystal Clear! I am a new customer but so far I am very pleased over the last pool guy. They come on schedule and my pool looks great. Technician does a great job! Very thorough and great to work with. Thanks!! Very happy with Economy Pool. Very responsive and professional service. Good service at a good value. We no longer own the house. Worst pool experience ever! I set up service with this company that originally promised me i would have the same person every time so he would be familiar with my pool and upkeep. The second week, there was a different person. Now I"m on pool guy number 3!! On top of that I was on my family vacation and i thought i left my pool in good hands. But day three of my trip I get a phone call while on vacation from a neighbor about my pool having problems. I had my mother check my pool and it was turning green one week and the pool light knocked out and was left floating in the pool. By the next week my pool was completely green and the pool light was still left floating. The cleaning guy still came out but left the pool green and still had that light floating. Once again, no one from the company called or left me any kind of message alerting me there was a problem. I had to call in and i was made promises that weren"t fulfilled and the manager, Mark. When i followed up with Mark he stood up for his technicians and blamed the floating light on time. It just happened to come apart while or after his guy cleaned the pool. Then Mark hung up on me after lying to me about going to fix my pool. I called the main office and spoke with Tom Barry, the director of operations. I asked to speak with the owner, John stover and was told he wasn"t available. Tom then promised the pool would be fixed in the next two days. It took a little longer but at that point i couldn"t do much being out of the country. Tom also told me my pool was green because it needed a new filter, something no one at the company alerted me of. Tom had the tech change the filter at no charge so i took that as a sign that maybe things would improve. They didn"t. I have a laundry list of complaints about this company. Their communication is terrible, the service is terrible and unreliable. I wish could get my money back for the three moths of terrible service i experienced. We appreciate all you do, however, I used to receive an email once the service was completed, but no longer receiving those.... will you please restart as I don't know when the service is completed or if it is completed. I don't like to give a bad score, so, I selected I am happy, but truly appreciate if you could consider my request. Thank you very much! Vern and Kaori Jones.